Because summer humidity is the WORST. The products in this post were updated in March 2018. 1. Take the beach with you everywhere in the form of a bottle of Not Your Mother's Beach Babe sea spray. If you're looking to control your fly-aways and get some beachy waves at the same time, look no further than a solid sea salt spray. While not ideal for everyday use (the salt dries out hair), it's a great solution for days when your hair simply won't cooperate. Not Your Mother's Beach Babe is a popular choice thanks to its reliable results. Get it from Target for $3.76 or on Amazon in banana scent for $3.87. 2. Rub your 'do down with some hair sheets that will calm down frizz. Get 15 sheets from Sephora for $18 or something similar from Amazon for $18. 3. Go with a classic and look to John Frieda's line of frizz easing products. When it comes to frizz, John Frieda has you covered with an entire line of hair products dedicated to taming your 'do. This Frizz Ease Extra Strength is great for people with thick hair—it's a little heavier than other serums and might weigh down fine hair. When used with a straightener, it helps manage hair and keep it silky smooth no matter the humidity. 4. Smell and look great thanks to Coconut & Moringa Oils Flyaway Curl Control Serum. This coconut-scented serum is perfect for adding new life to limp or unruly curls by adding shine and creating a protective barrier against frizz. Add to wet or dry hair for distinguished and well-behaved waves. 5. Transform your frizzy mane into soft, manageable locks you don't have to be afraid to let air dry thanks to a bottle of luxurious Caviar CC Cream. Get it from Sephora for $29 (3.4 oz), Amazon for $15.99, Jet for $14.92+, or Ulta for $42 (5.1 oz). 6. Finally get the silky hair of your dreams with Garnier's Sleek & Shine Anti-frizz Serum. Garnier's anti-frizz serum is a popular drug-store choice for soothing unmanageable hair on a budget. Made with argan oil and apricot, the sweet smelling product will make your hair troubles a thing of the past. Get it from Amazon for $5.86. 7. Add an xtava diffuser to your hairdryer to keep your mane from getting super fluffy. 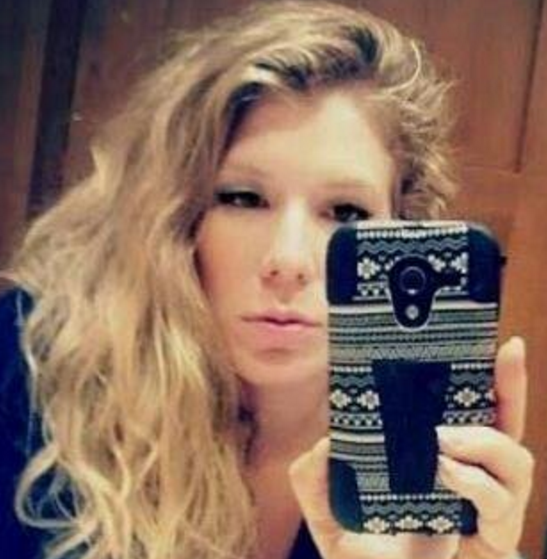 Curly hair benefits from the right dryer technique. 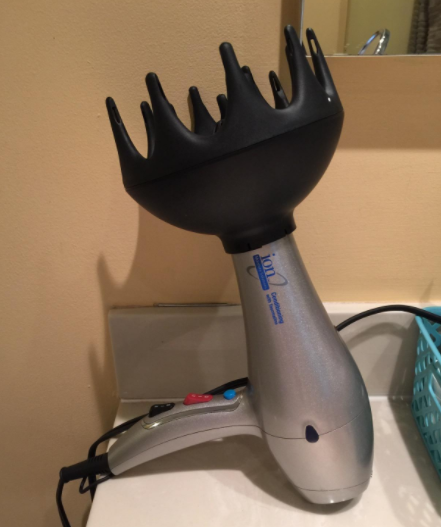 Pop on this claw-like device to gently hit damp hair from all angles, leading to a frizz-free 'do. 8. 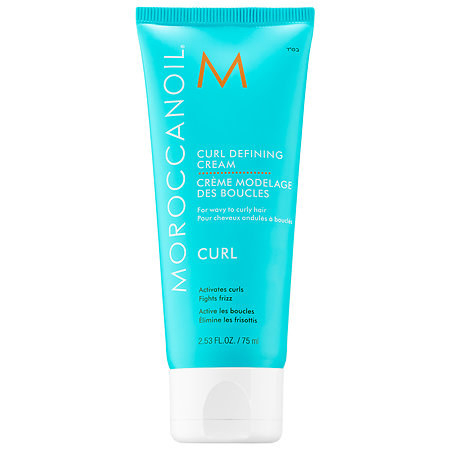 Get rid of your frizz and gain some seriously bouncy curls by applying this Curl Defining Cream. Get well defined curls with no wisps by adding this oil-infused cream to soaking wet hair and raking it through with your hands. While it can get a little sticky if you use too much, you can't argue with results. Get it from Sephora for $13. 9. Get silky straight hair with ease thanks to this thermal protector infused with argan oil. 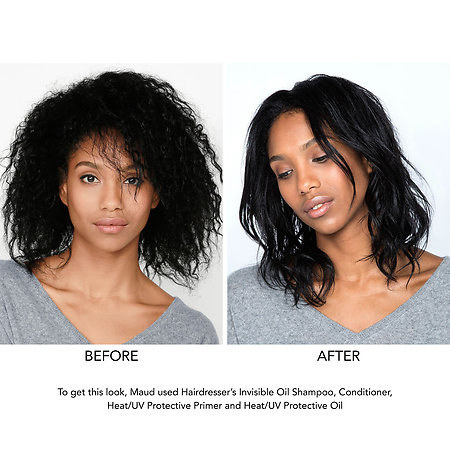 Get silky, healthy looking hair that can stand against the dangers of heat styling like straighteners and curlers by spritzing some of this product on before jumping in. The thermal protector makes it possible to straighten hair without completely damaging it . 10. 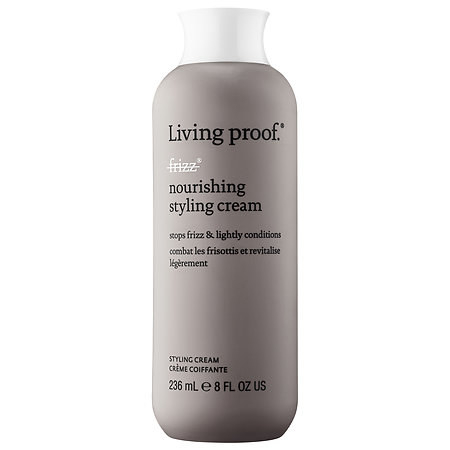 Smooth your wavvy or curly hair without sacrificing volume thanks to Living Proof's No Frizz Nourishing Styling Cream. Whether your hair is straight or curly, this styling cream is perfect for making dead-looking hair look new and shiny again. It blocks humidity without weighing it down, making it a great choice for people with medium to thick hair that needs a little smoothing. Add to the ends of wet hair and then style with heat. 11. Throw this Bb. 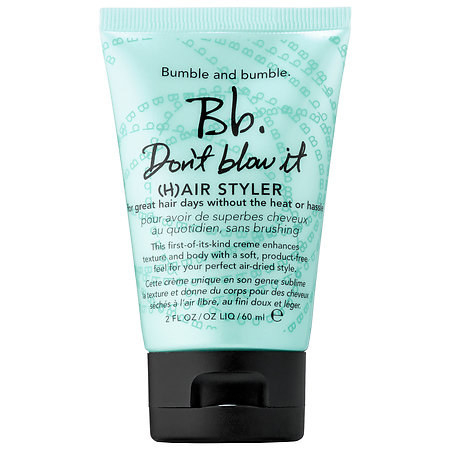 Don’t Blow It (H)air Styler into your hair and forget about it. Hair styling can be damaging to your hair, so if you can manage it, let your hair air dry. 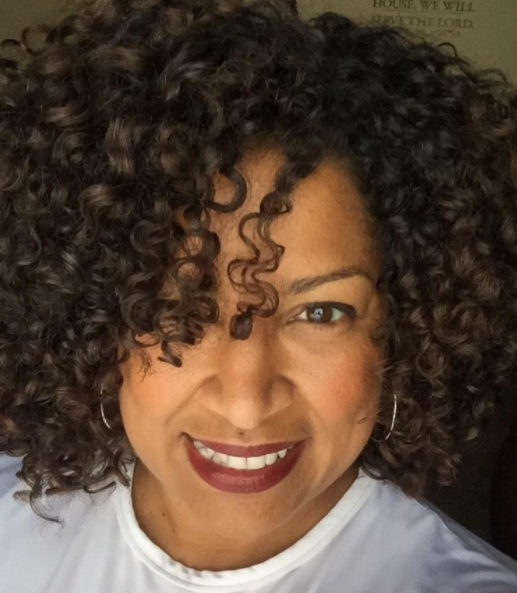 This styler for curly hair does all the hard work for you. Simply add to wet hair, coil sections of your hair with your fingers, and let dry. 12. Raid the vast Kiehl's inventory for an impossibly light-weight serum that will make you laugh in the face of humidity. Lots of oils and serums tend to make hair greasy, but not this one. If the product didn't make hair so soft and touchable, you'd forget you were even wearing it. Packed with sesame and sunflower oil, the serum is great for both wavy and straight hair. Get it from Kiehl's for $18. 13. 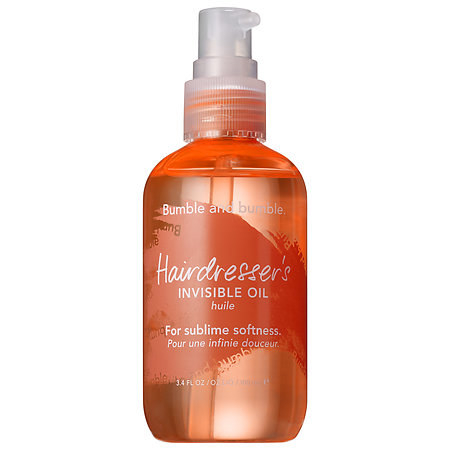 Splurge on the ultimate Bumble and bumble hair oil that people with all hair types swear by. 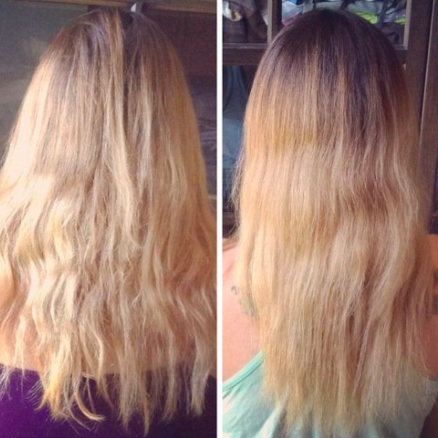 If you have extremely dry hair, let this invisible oil transform your locks. Add it to hair before or after drying for noticeably softer and more manageable hair. Get it from Sephora for $40 or Ulta for $40. 14. Stick with the classic It's a 10 Miracle Leave-In for tried-and-true results. It's a 10 Miracle Leave-In is a total over-achiever: It smoothes hair, gets rid of annoying frizz, adds shine, protects from heat, softens hair, and adds volume. Add the nice smelling product to damp hair when you don't want to overthink your hair routine. 15. Spoil your wavy or curly hair with conditioning Scruples Twisted Curl Defining Creme. Finally tame your curls with this creme that defines curls without making them feel crunchy or sticky. Promising review: "I'm addicted to this stuff! I have curly fine hair that if I don't put this product on it my hair gets frizzy. I am a constant buyer of this product. Won't allow myself to run out. Always have a tube for back up. Makes your hair feel soft not greasy. Just light enough to keep those frizzies from taking over your head. I say give it a try—you won't regret it. And you only need a pea-size amount to do the trick." —Theresa K.
Get it on Amazon for $12.53. 16. 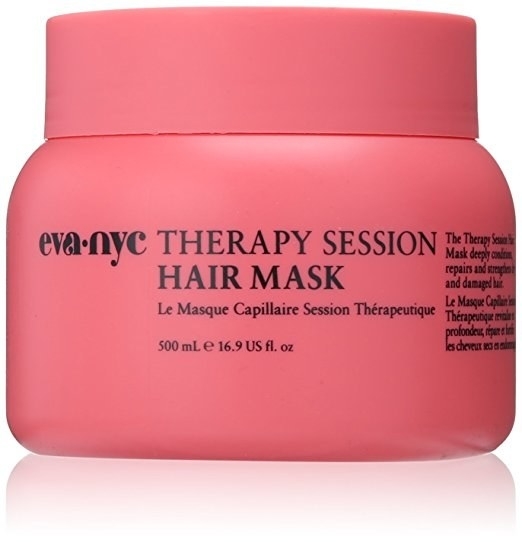 Deeply condition your dry hair using Eva NYC Therapy Sessions Hair Mask for relaxed, straighter locks. Treat your head to a hair mask every once in a while for a rejuvenating hit of moisture to keep your mane healthy and frizz-free. Promising review: "One of the best products I've ever used. 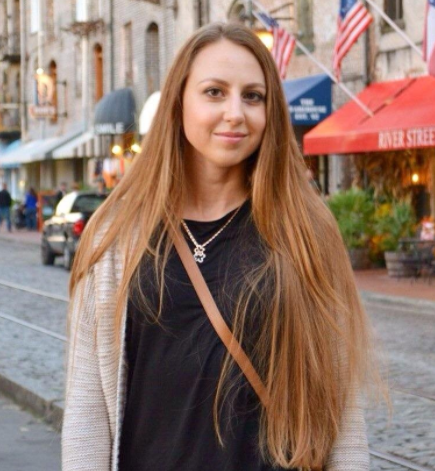 It leaves my hair shiny, super soft, and gets rid of 98% of my fly-aways and frizz. I first tried this hair mask when I received it in my Ipsy bag and I've been using it every other shower since. I highly recommend this product." —Ali P.
17. 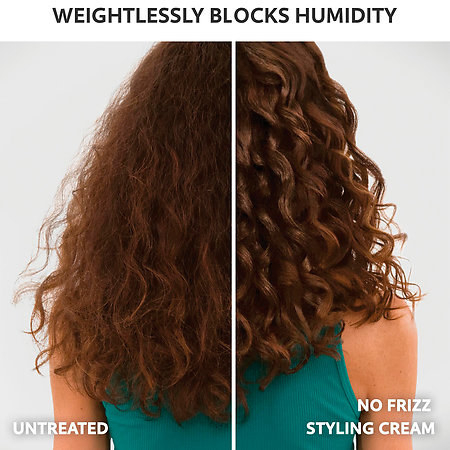 Pick the right conditioner (like Redken Frizz Dismiss Conditioner) to keep you hair in line before you even step out of the shower. Adding hair products isn't always enough to keep frizz at bay. Add the right conditioner into your routine to ensure healthy and well-behaved hair. Get it from Amazon $23.30 or Ulta for $19.99. 18. Get perfect curls while avoiding dreaded fly-aways with this Kukui oil. Add this oil to your routine to keep your hair curly without being frizzy. Get it from Amazon for $10.52. 19. 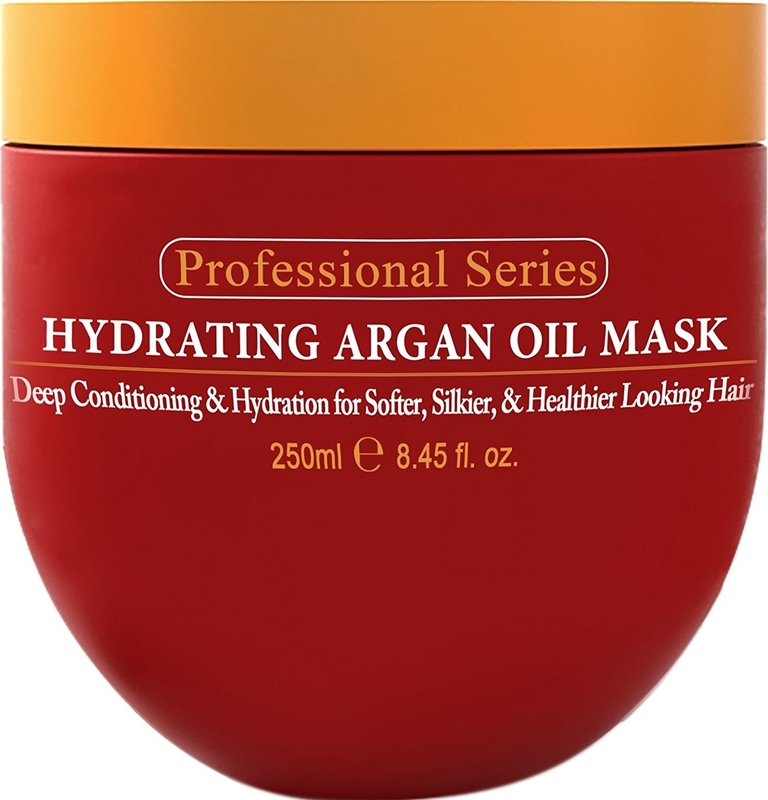 Marinate your follicles in a highly rated argan hair mask to get the soft and silky hair you've been dreaming of. 20. Reach for some Aquaphor for a quick way to dampen frizz if you get desperate. This purse staple can do more than just soften your rough hands and chapped lips. You can also rub a little dab of it between your fingers and apply lightly to problem areas on your head. The thick ointment will help keep frizz down in a pinch when nothing else will. Get it from Amazon for $12.77.